The Pacquiao-Hatton showdown on May 2 is a done deal. What remains to be ironed out is the split in revenue given that both fighters both bring fans and excitement to the table. My inside information said immediately after the ODLH-Pacman fight, both camps from the Filipino boxing superstar and the Mancurian Hitman were already sitting down for a possible match-up between their two popular wards. Hatton's camp immediately drew the line as far as purses and split in revenues are concerned. They want it, the fight, done at the Wembley Arena where the venue could be reconfigured to seat 100,000 rabid British fans. 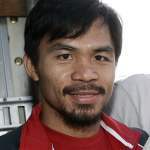 That would have not been a problem as far as Pacquiao is concerned who went on record that he is willing to fight Hatton – anywhere and anytime. But there was a catch in that proposal. Hatton's camp reportedly wanted a lion's share of the pay per view proceeds in England which was promptly rejected by Pacquiao's emissaries. "They want the bigger share of the PPV in the UK. We want them added to the total pot," an unimpeachable source confided to this corner. Now that the fight is locked up for a Las Vegas date, it is interesting to figure out who gets the juicier slice of the PPV and the bigger guaranteed purse. Both Pacquiao and Hatton got their biggest fight purse when they fought Oscar de la Hoya and Floyd Mayweather Jr., respectively. Hatton got something within the vicinity of US$10 million for his 10th round knockout loss to Mayweather while Pacquiao's financial team has yet to ring in the cash register for the final figure Manny will get for forcing De la Hoya to surrender after eight rounds. Pacquiao should earn no smaller than US$15 million gross which includes his guaranteed purse, share in the PPV upside, Philippine TV rights, live gate receipts and other peripheral financial bonanzas. So, who then deserves the bigger pie when these two little titans clash in May this year? This should be none of this corner's business but Manny should cash in on his newfound status as boxing's biggest superstar and now its biggest draw following his conquest of De la Hoya. Outside of his British fans, Hatton is hardly a household name in the US. Fact is, over the last three years, Manny has consistently delivered PPV numbers and has not been involved in a bust of a bout even when fighting the likes of Oscar Larios and Jorge Solis. 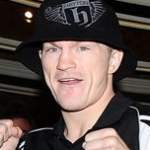 That cannot be said of Hatton who has fought only five times in the US over the last three years while Pacquiao figured in nine blockbuster and exciting fights over the same period. Both Manny and Ricky hold belt titles although the Filipino southpaw is expected to give up his WBC lightweight crown and campaign in the 140-147 lbs limits. Hatton is a light welterweight title holder but this is for the fringe International Boxing Organization (IBO). Nobody really cares about the alphabet soup titles nowadays. This should not be a big deal in determining who gets the bigger take home pay the day after the 2nd day of May. Both camps could meet halfway. Manny and Hatton could split 50-50 the PPV proceeds in the UK while Manny should get 65 per cent over the rest. The two could also split the live gate receipts considering that Las Vegas could yet be another arena for rabid British fan invasion. Manny should also get a guaranteed purse equivalent to his gross earnings in the De la Hoya fight while Hatton could be assured at least US$6 million plus his share in the upsides of PPV proceeds and other collateral income. That should be fair enough.